Prime Number has only two factors (one and itself). 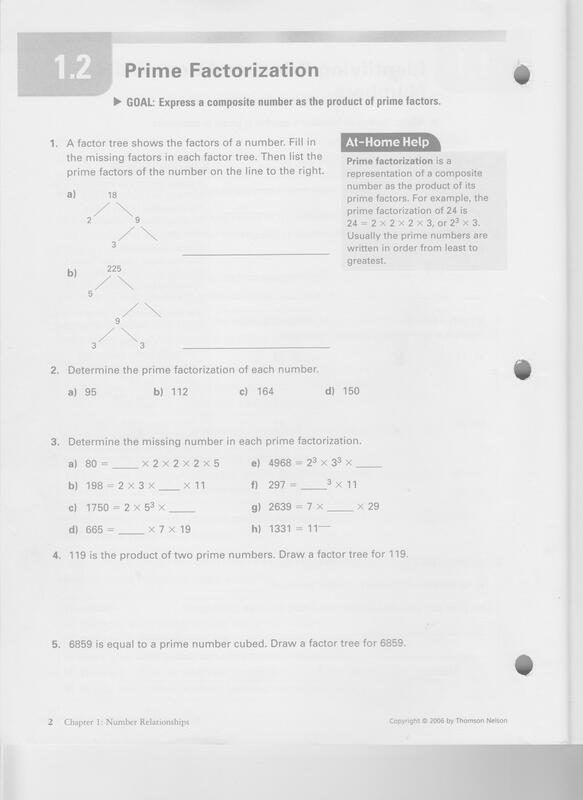 Composite Number has more than two factors. The Greatest Common Factor (GCF) is the greatest whole number that divides into two or more other whole numbers with no remainder. 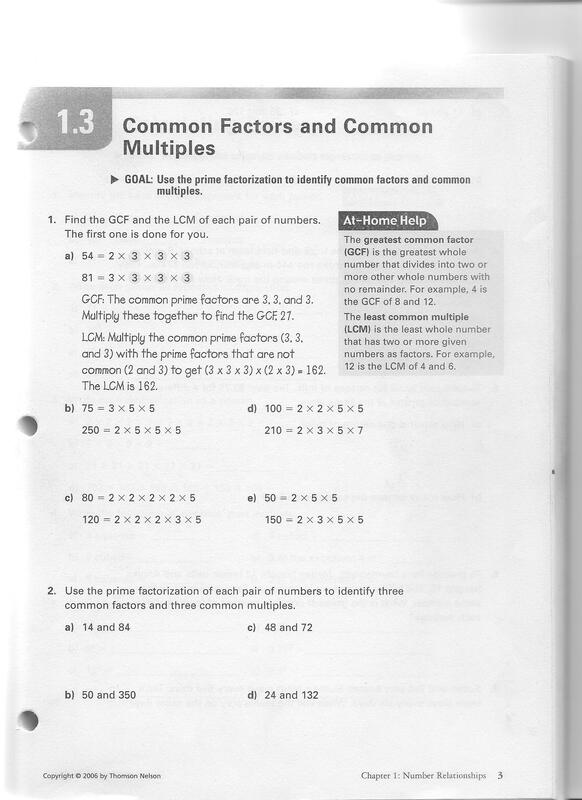 For example, 4 is the GCF of 8 and 12. The Lowest Common Multiple (LCM) is the least whole number that has two or more given numbers as factors. For example, 12 is the LCM of 4 and 6. Venn Diagrams can be used to organize common and uncommon factors when considering numbers to identify both the GCF and the LCM. See the video below for helpful instructions on how to use this tool. The Ladder Method can be used to find both the GCF and the LCM (see the instructional video below on how to use this tool). - A Power is a numerical expression that shows repeated multiplication. For example, the power 5² is a shorter way of writing 5×5. - A power has a base and an exponent. The exponent tells the number of equal factors there are in a power. - In the exponent 2³ the base is the 2 and the exponent is the 3. This could also be represented as 2×2×2=8. - Most calculators have a yⁿ key (or something similar) to enter powers. - Expanded Form is a way to break up a number to show how much each digit in the number represents. In other words, expanded form is the method of pulling a number apart and expressing it as a sum of the values of each digit. Example, the expanded form of the number 543 is 500 + 40 + 3. - Scientific Notation is a method of expressingnumbers in terms of a decimal number between 1 and 10 multiplied by a power of 10. The scientific notation for 10,492, for example, is 1.0492 × 10⁴. 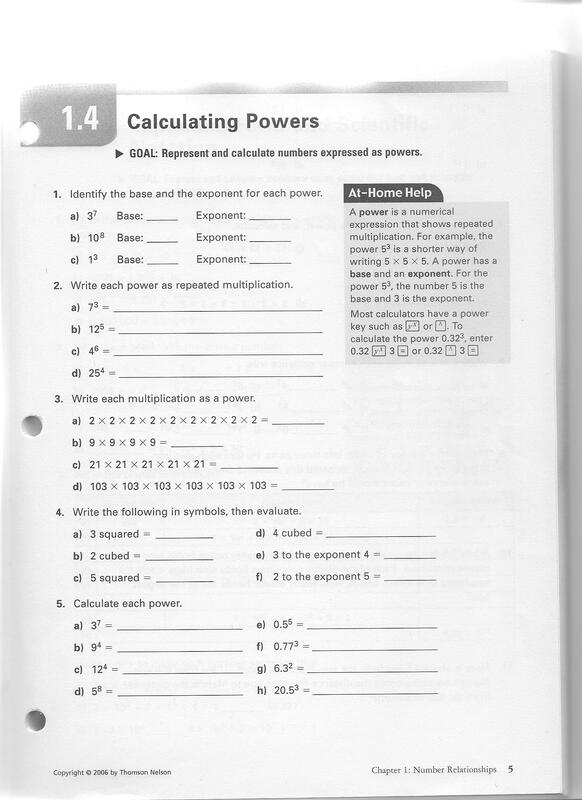 We spent the time in math today correcting yesterdays review questions in preparation for tomorrows first quiz. The students wrote their first quiz..
Square Root - a number that when multiplied by itself equals a given number. Example, the square root of 25 is 5, because 5x5 = 25. Any square root answer that has a whole number answer is considered to be a "perfect square." Therefore, 25 is a perfect square. Estimate - A close guess of the actual value, usually with some thought or calculation involved. Order of Operations - These are the rules that states which calculation is to be performed first in an expression. As a follow-up to the last lesson, the students will complete a second day on order of operations with exponents as a means of solidifying their retention. Today the students will complete a review of all the concepts covered during the unit on Number Relationships. The unit test is scheduled for Tuesday, September 27th.